A calming and soothing favorite! All natural Goat Milk Soap. Lavender scents intertwine with wild honey in this blend leaving you feeling relaxed and refreshed. 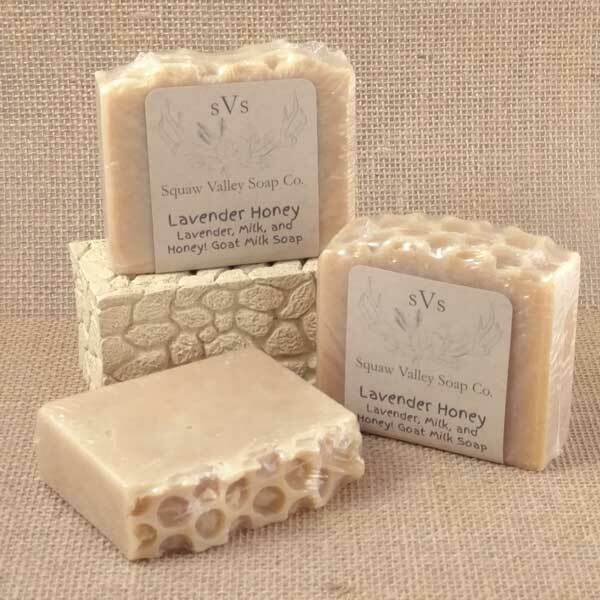 Ingredients: Raw Goat Milk, Saponified (Organic Oils of Coconut, Olive, and Sustainable Palm), Castor Oil, Organic Shea Butter, Lavender Essential Oil, Raw local Honey and local Beeswax.